We urge you to donate to this worthy cause. Find a campaign to work for. Light must be made to shine in the darkest of places. We invite you to join Freedom United and lend your voice to the call for accountability in the tea industry. On 17 January, unidentified armed men attacked demonstrators in Amatán, Chiapas state, southern Mexico. 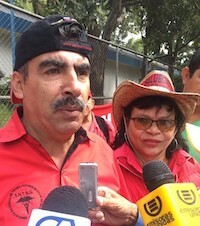 Noé Jiménez Pablo and José Santiago Gómez Álvarez, two economic, social and cultural rights activists and members of the Independent Regional Campesino Movement (MOCRI – Movimiento Campesino Regional Independiente), were taken and deprived of their liberty by the armed men. The following day, their wounded dead bodies appeared in a local dumpster. In reaction to this attack, the government took measures like sending a few law enforcement officials, but members of the community fear further attacks and that these measures are insufficient to protect them. 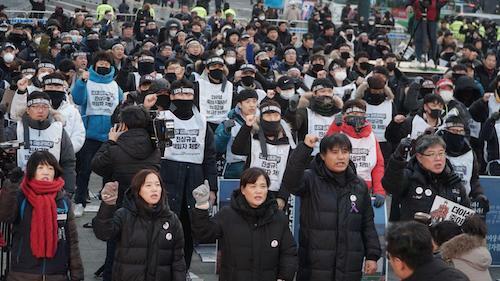 Stop the Outsourcing of Danger – Justice for Kim Yong-gyun! Kim Yong-gyun, a 24-year-old subcontracted worker was killed after getting stuck in a coal conveyer belt at the Taean Power Plant. Kim was working alone in the dark, doing extremely dangerous work. According to the occupational health and safety rules in the manual, Kim should have been working in a team of two. This entry was posted in Arkeeblog, Human Rights on January 31, 2019 by arkee2013.